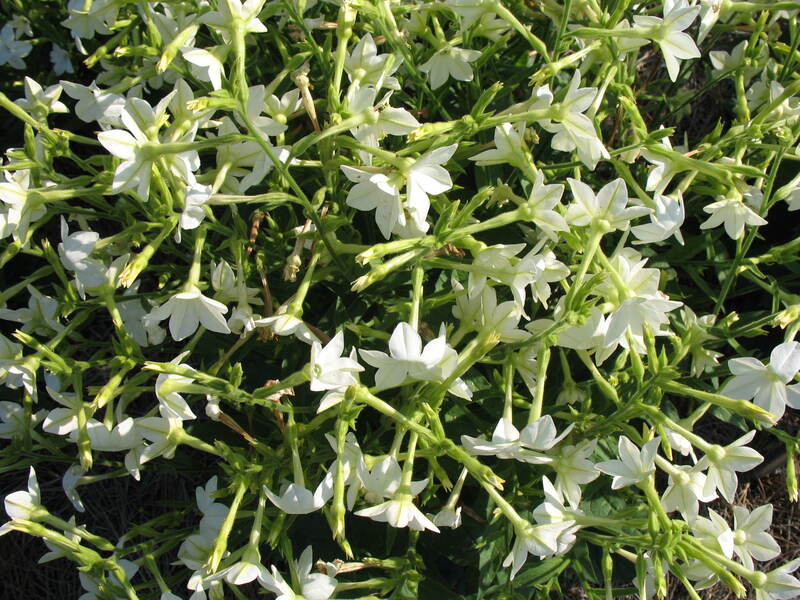 Comments: This is a delightful white flowering variety of the Nicki flowering tobacco series. This is one of several varieties of flowering tobacco that maintains a low, dwarf mounding form. Flowers are star shaped. Plant flowering tobacco in full sunlight and in a well drained soil, preferably a raised bed. The foliage is light green and is covered with short, sticky hairs. Fertilize plant several times during the growing season and cut off old flower heads. This is a relative of the smoking tobacco, Nicotiana tabacum, and all parts of the plant are reported to be poisonous if eaten. Members of the Nicki series do well as container plants.